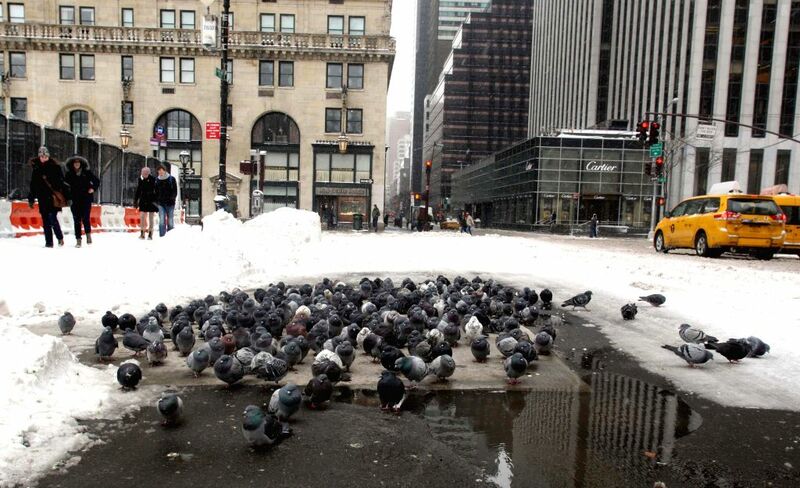 NEW YORK, Jan. 27, 2015 - A flock of pigeons get together to keep warm in the street in Manhattan of New York City, the United States, Jan. 27, 2015. Most travel bans were lifted and transit services gradually resumed Tuesday morning in New York area after a snowstorm whose impact is far less than expected for most of the area. 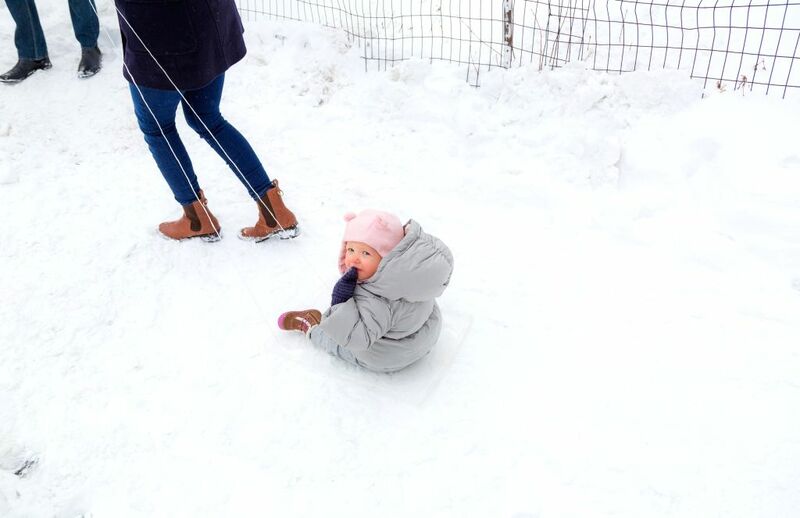 A child plays snow in the Central Park in Manhattan of New York City, the United States, Jan. 27, 2015.